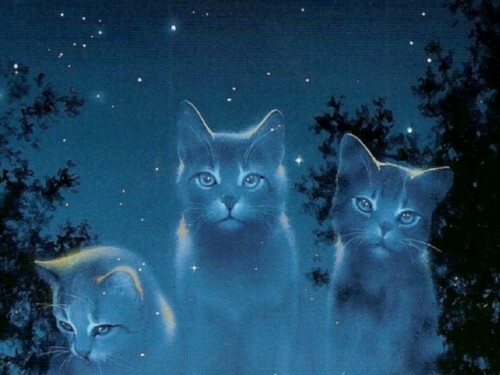 starclan cats. Three starclan cats standing سے طرف کی trees.Looks great as a پیپر وال on ur screen :) !. HD Wallpaper and background images in the Warriors (Novel Series) club tagged: starclan warriors cat cats others warrior clan three. This Warriors (Novel Series) wallpaper might contain ٹام, tomcat کے, ٹومکت, کیٹ, سچ میں بلی, بلی, بلی کے حقیقی, بلی کے بچے, and کٹی.